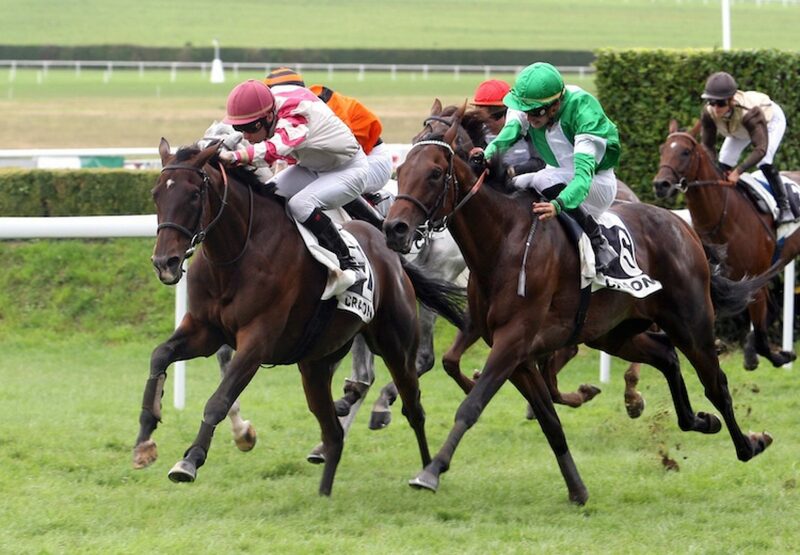 The superb Smart Whip (6g Dylan Thomas-Green Girl, by Lord Of Men) enjoyed his fourth success of 2017 in France on Monday when winning the Listed Grand Prix de la Ville de Craon-Mayenne. The Dylan Thomas six-year-old hit the front in the closing stages of the 12-furlong event at Craon to claim his second black-type victory of the summer, having also won the Listed Prix Hubert Baguenault de Puchesse at Vichy in July. Both races are part of the Defi du Galop series. Smart Whip, bred in France by Ronchalon Racing, is understandably the apple of trainer Christophe Lotoux’s eye. “Smart Whip is truly exceptional, he goes on all distances and all surfaces. He’s extraordinary and it’s just a great pleasure to have a horse like him in my stable,” said Lotoux.